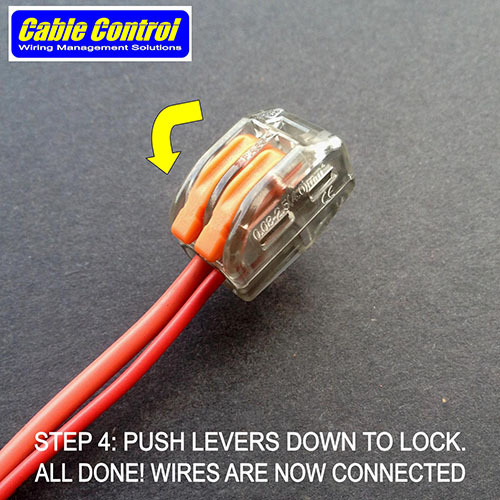 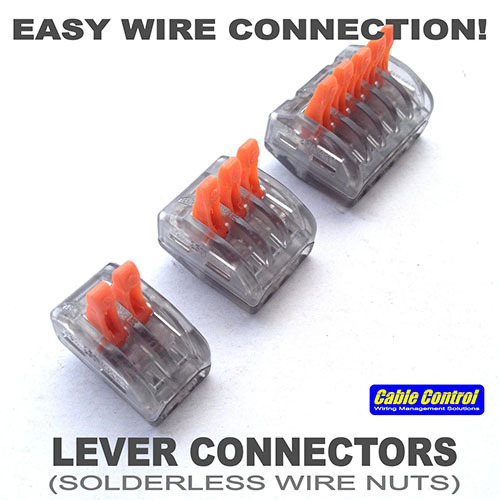 Cable Control LEVER CONNECTORS (Wago Type) make it easy to connect wires together. 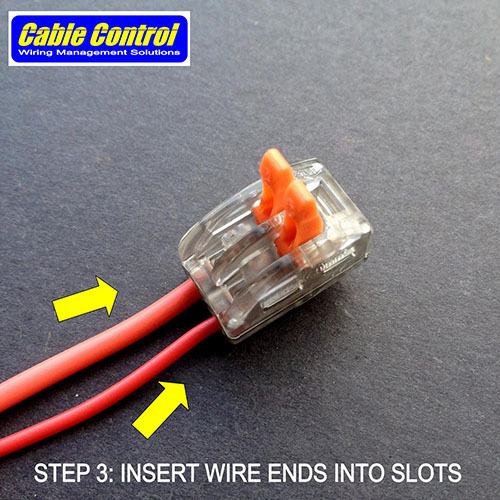 Simply strip back wires by 1/4", insert into the Lever Connector's slots, and push down levers to secure. 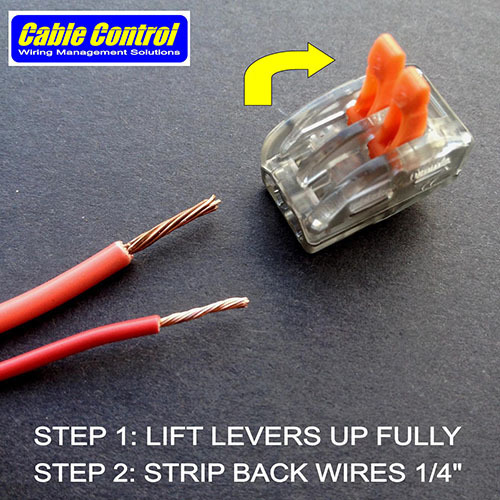 It's that easy to use! 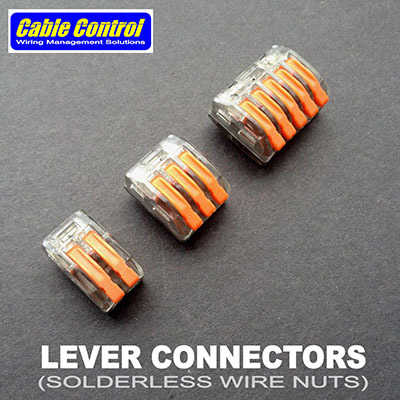 Available in 2, 3, or 5 wire variants and made from high quality plastic, these Lever Connectors ensure a strong, secure, user-serviceable parallel connection that will not loosen over time. 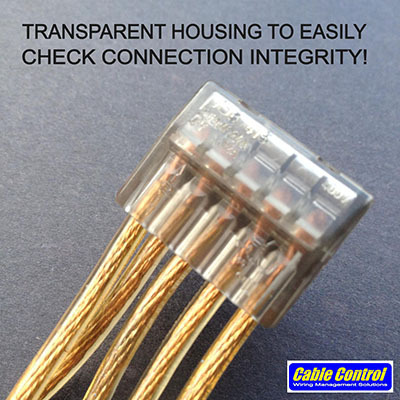 Transparent casing also makes it easy to verify connection integrity. 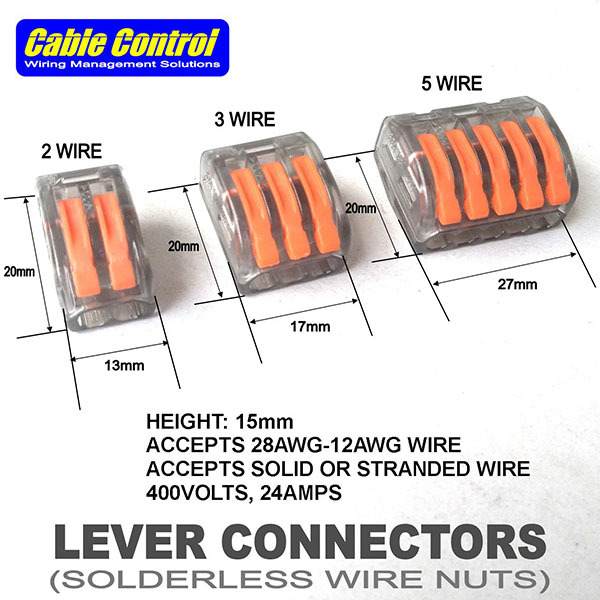 2-wire (model 412) PhP240 / 20pcs. 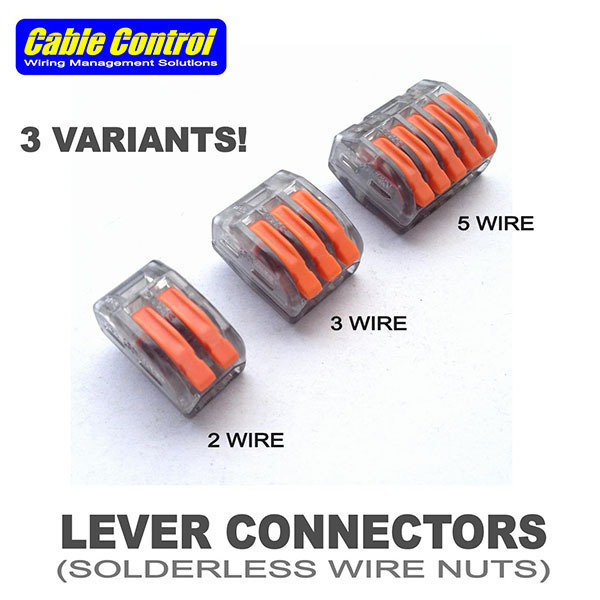 3-wire (model 413) PhP280 / 20pcs. 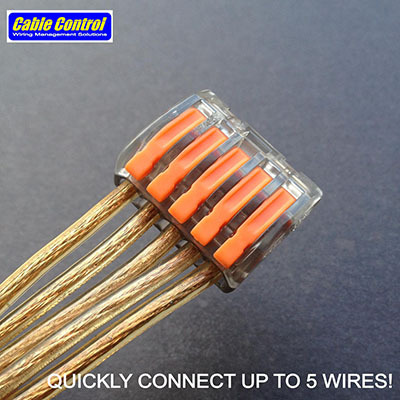 5-wire (model 415) PhP380 / 20pcs.